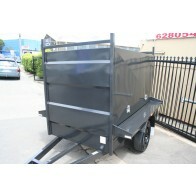 Trailer Camper Australia tradesman trailers are 100% Australian made. 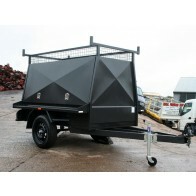 Our Tapered Tradesman trailer is a commercial duty builders / tradesman type trailer, ideal for transporting lot's of tools / equipment - All day every day! - New 15"Ford 5 stud Sunraysia wheels with quality second hand road tyres. Optional upgrade to new Light truck tyres available: contact the sales team for pricing.